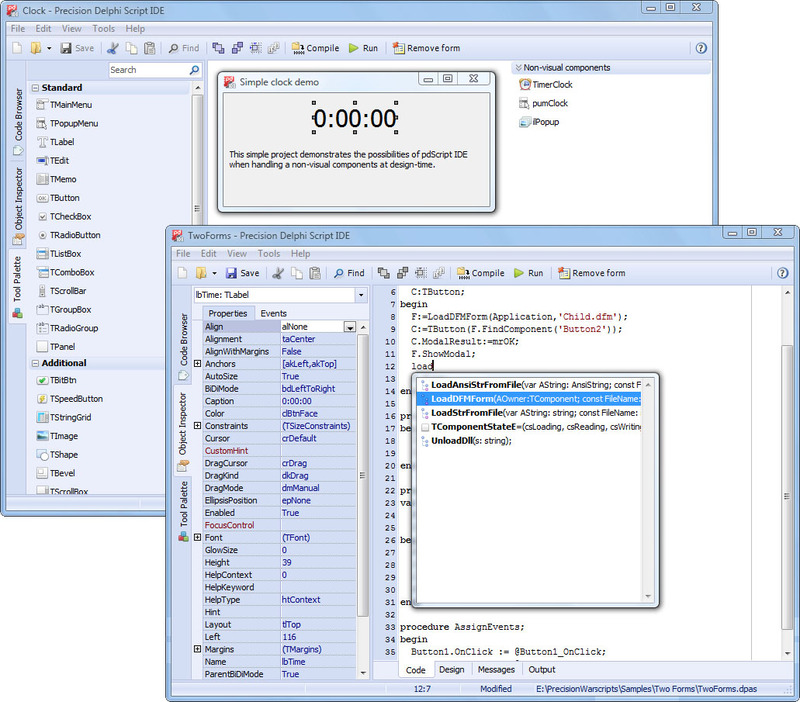 pdScript IDE facilitates especially the events assignment and designing of the forms (GUI for scripts) as such. And even more, pdScript IDE can be also used as a standalone editor of VCL forms. For now there is only a standard subset of VCL components available, but it should be large enough for editing the forms, that are used for scripting purposes. This game includes both graphical and number mode of sliders games. Qweas is providing links to pdScript IDE 1.1.4 as a courtesy, and makes no representations regarding pdScript IDE or any other applications or any information related thereto. Any questions, complaints or claims regarding this application pdScript IDE 1.1.4 must be directed to the appropriate software vendor. You may click the publisher link of pdScript IDE on the top of this page to get more details about the vendor.